Fan Duel has posted the first of their 2016 Fantasy Football Contests. This schedule is just the start, they have posted their headline contests for week one of the 2016 NFL schedule. 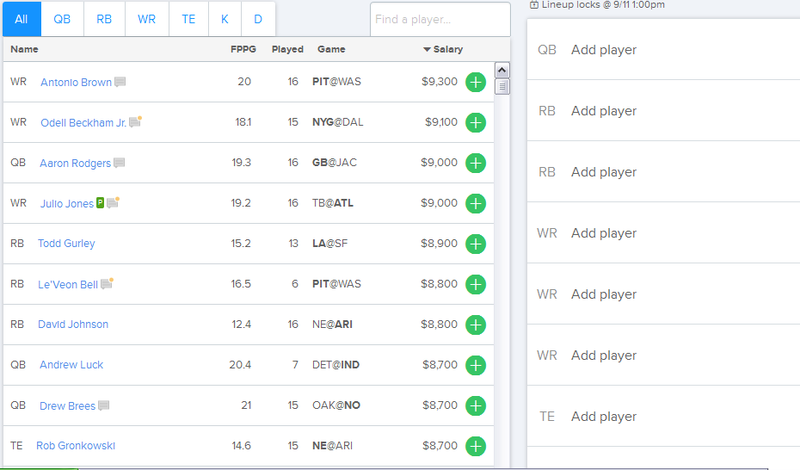 You’ll also see the Week One NFL player salaries and can start your Kick Off weekend line-up preparations. Along with the posting of the first 2016 NFL fantasy contests, Fan Duel re-branded themselves and issued their Players Bill of Rights on The “New” Fan Duel. You can also expect to see more NFL contests added as we get closer to the week one kick-off. I expect to see week one Thursday (9/8) start contests, Sunday only, Sunday afternoon only and Sunday/Monday prime time contests. There will also be literally thousands of smaller 3, 5, 10, 20 and 100 team leagues along with numerous qualifiers for upcoming contests. Keep in mind you do not have to set/lock your line-ups just yet. You can buy-in, set a preliminary line-up and edit it as we get closer to the actual games. $2M NFL Sunday Million: $25 entry, $200K to 1st, 23381 winners. $200K NFL Snap (25% win): $2 entry, $10K to 1st, 28988 winners. $200K NFL Snap: $2 entry, $30K to 1st, 21937 winners. $150K NFL Blitz: $100 entry, $25K to 1st, 339 winners. $80K NFL Hot Route: $50 entry, $10K to 1st, 353 winners. $75K NFL Scramble: $10 entry, $7500 to 1st, 1718 winners. Fan Duel will give you 5 free entries to 5 fantasy football contests when you sign up and make your first deposit. Note: Week One salaries are posted, they will not change until week 2 games/contests are posted. Any line-up you set now can be edited until kick-off on Sunday Sept. 11th at 1PM ET. I went over the NFL scoring on Fan Duel and only noticed one difference for 2016. Added for 2016: DEF Extra Point return 2 points. 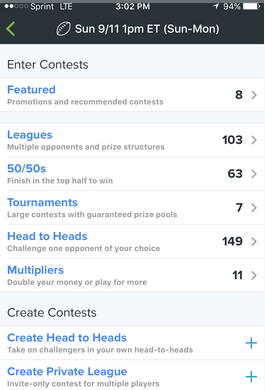 Something else that everyone who has played on Fan Duel before will notice, Fan Duel launched their completely new look this morning 8/1/2016. All new colors, all features highlighted and explained, a totally new looking and operating Fan Duel……. If you are physically located in these states: Alabama, Arizona, Delaware, Hawaii, Idaho, Iowa, Louisiana, Montana, New York, Nevada, Texas or Washington you are not eligible to play on Fan Duel. The easiest test to see if you are eligible to play is to go to Fan Duel and sign up and deposit, you will notified immediately if you cannot play on Fan Duel at that time. 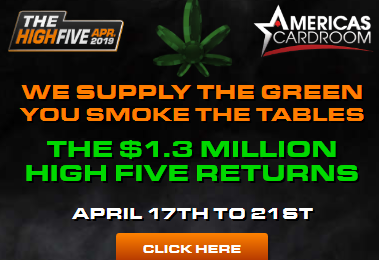 « Americas Cardroom OSS CUB3D With $4.5 Million GTD!